The Hudson Way footpath and cycleway passes through the station, although the road bridge at the west end of the station has been demolished. All the main station buildings are extant as a private residence and are largely unaltered, even the wooden shed on the platform survives. The goods yard was cleared after 2000 and is now occupied by a housing development (Ravenhall). One concrete railway gate post survives at the former entrance to the yard, and the brick weigh office still stands in the garden of one of the houses. 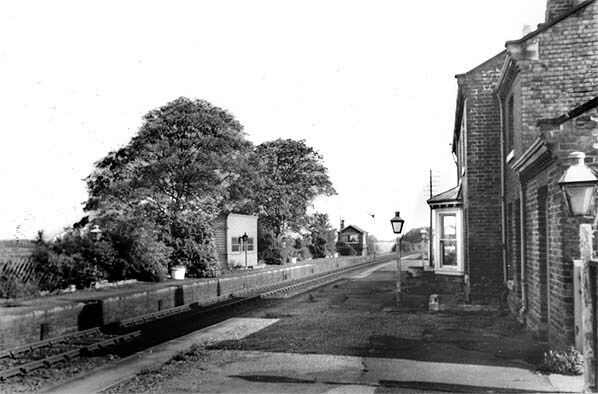 Notes: The Market Weighton - Beverley line opened on 1st May 1865 but, although it is assumed Cherry Burton station opened with the line, there is no documentary evidence to confirm this. Early in January (possibly 11th) a special train travelled along the line taking magistrates and others to the East Ridings Sessions at Beverley. This might have been the first train to stop at Cherry Burton but there are no details of stops, if any. As built, the line was single track with the station on the up side. 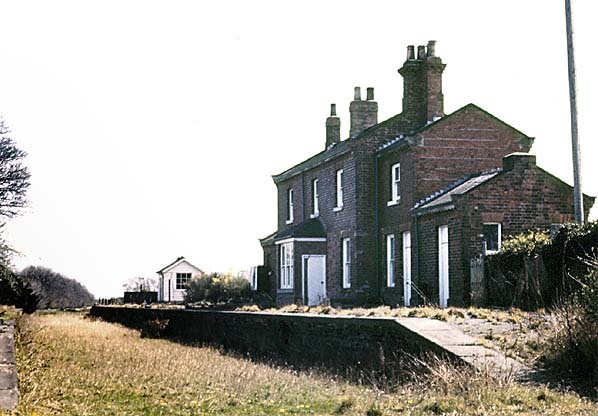 The main station building, which incorporated the stationmaster's house and booking office, was not a typical G T Andrews designed building but was similar to station buildings found elsewhere on the North Eastern Railway, consisting of a long range of brick buildings. The main part of the building was two-storey but with two end wings slightly lower than the central section; these could be a later addition. At the end of both wings there was a short single-storey building; one of these was probably the toilets. There was however the usual bay window in the centre of the building allowing the stationmaster to look both ways along the platform. (This has now been replaced with a projecting porch with a flat window, and a door in the side onto the platform). Further west along the platform there was a timber shed. Access to the goods yard was controlled by a ground frame on the platform. There were five sidings, one short siding terminating at the east end of the platform and a second with a loop running up onto coal drops behind the platform. Three further sidings ran diagonally across the yard. The middle siding passed a cattle dock and immediately passed through a large brick goods shed with another siding passing in front of the shed; the fifth terminated end-on to the cattle pen at the end of the dock. The weigh office and weigh bridge were sited to the west of the goods shed and there was also a 2-ton crane. Click here for a report of an accident in the goods yard on 3rd June 1872. When the line was doubled in 1889, the layout of the goods yard remained much the same, although the siding closest to the running lines was removed. A second facing platform was built, and this was provided with timber waiting shelter of the standard NER design. At this time the ground frame was replaced with a brick signal box on the down side of the line at the east end of the platform. Until closure of the line, the only way passengers could reach the up platform was by using a barrow crossing at the east end of the station. In 1911 the population of the station’s catchment area was only 1,154. 8,027 tickets were sold that year, and the main freight handled was barley with 720 tons and wheat (510) being dispatched. In 1913 144 wagons of livestock were loaded at the station. After WW2 passenger numbers dropped dramatically and the passenger service was withdrawn from 5th January 1959. The station remained open for goods traffic until 27th January 1964. After closure of the line the station was converted into a private residence and remains largely unaltered. 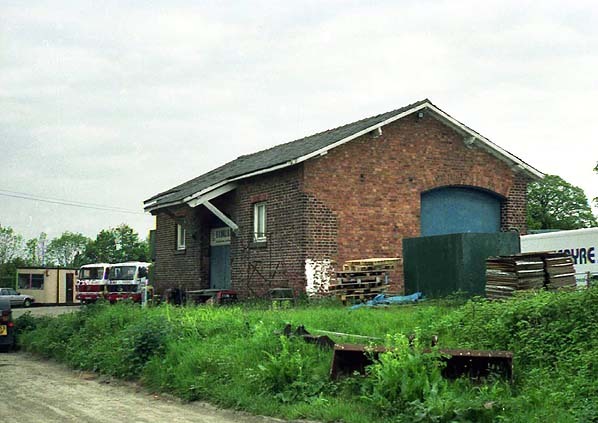 From August 1984 the goods yard was used as a depot for D & P Haulage with the goods shed still standing. The company moved to Hull in 2000 and the site has now been cleared and redeveloped for housing with only the weigh office remaining in the garden of a house. The signal box at the end of the down platform was also still standing in the 1990s but this has also now gone. The Hudson Way footpath and cycleway passes through the station site with a low fence preventing access to the up platform at each end. been preserved and is now the sports hall of Pocklington School. In Stamford Bridge the station house and engine shed survive in other uses as do the platforms on both sides of the old trackbed. The impressive brick and cast-iron viaduct at Stamford Bridge that carried the line across the River Derwent was spared from demolition in 1991 and subsequently repaired. 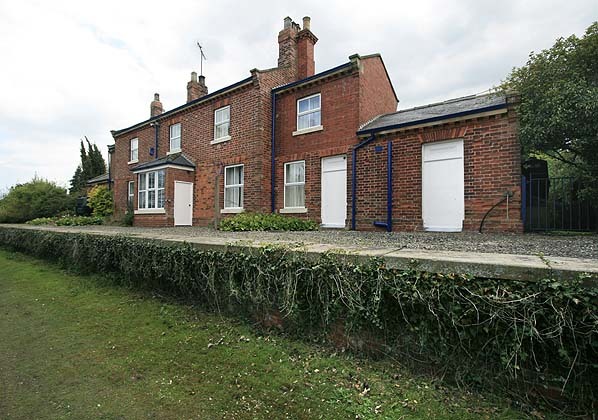 Other railway and station buildings still survive in good condition at Warthill, Holtby, Fangfoss, Nunburnholme, Londesborough, Cherry Burton and Kipling Cotes. The 11-mile long Hudson Way footpath and cycleway follows the course of the line from Market Weighton – Beverley, with a car park at Kipling Cotes station. Tickets from Michael Stewart, timetable and timetable alterations from Alan Young, route map drawn by Alan Young. 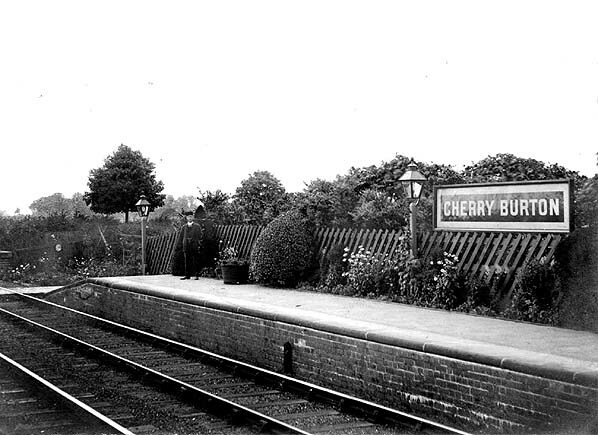 Cherry Burton up platform c.1920s. Cherry Burton station looking east along the up platform c.1962. 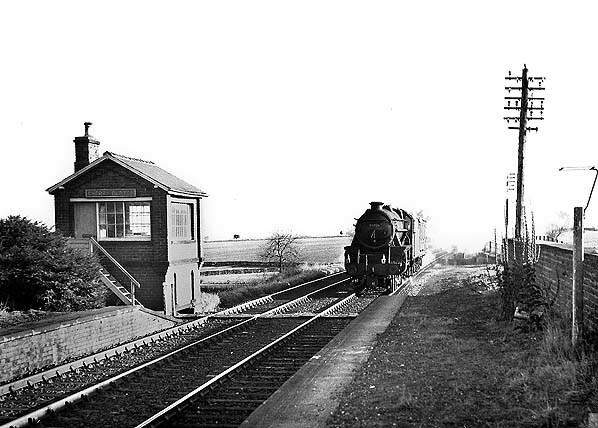 Westbound train approaching the closed Cherry Burton station c.1960s. 44926 is an ex-LMS 5MT commonly known as 'Black Fives'. Designed by William Stanier, it was built in 1946 at Crewe works, one of a class of 842. Lasting until the final year of steam on BR, it was withdrawn on 30.4.1968 and cut up at Wards, Killamarsh in October of the same year. It appears to be working an empty stock judging by the headcode, but the middle lamp is not on the centre lamp bracket; in fact there is not a bracket where the lamp is, only the one over the left buffer. 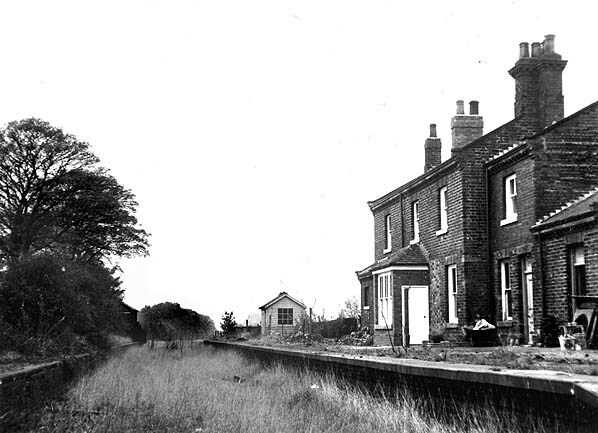 Cherry Burton station looking east in October 1971. Note the bay window has already been replaced (compare with 1962 picture above). Cherry Burton station looking east in April 1976. Cherry Burton station looking west in May 1991. 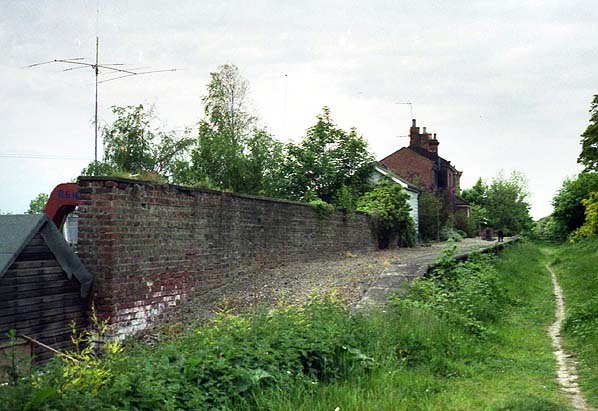 Cherry Burton station looking west in May 1991. A this time the goods yard was used by a haulier. Cherry Burton station up platform in May 2010.